“Plans are useless, planning is indispensable.” This quote, or a similar variation, is attributed to President Eisenhower, and refers to his preparations for battle when he was a General. The same can be said of any home renovation project. A good set of design drawings is vital to the success of the project for a number of reasons. Your home renovation plans will help you acquire building permits, receive accurate bids from contractors and help you understand the size of your future space. No set of plans is perfect though, and as the project moves from design through construction, things change. Your plans must change with them, and it’s for this reason that planning is just as important as the actual construction drawings. The process of creating your plans will help you and your architect become more familiar with your project. This will pay dividends not only through inspiring new ideas, but by helping all parties involved become more familiar with the project. The more you know about the project, the more things you consider in the planning phase, the fewer, or less disruptive, surprises you’ll encounter when the project begins to be built. 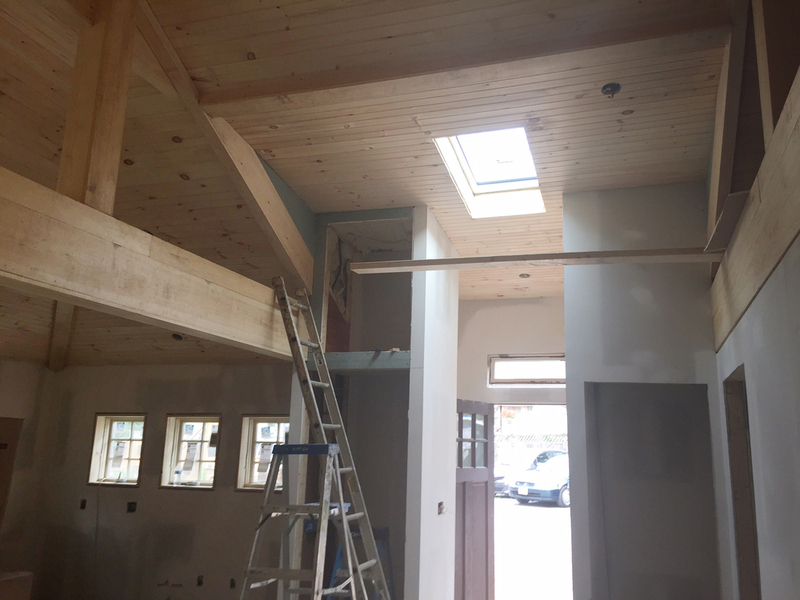 An exciting project we currently have under construction is a large carriage house that is being converted into a home office. We began the project with a site visit and then built a 3D model of the carriage house based on measurements and pictures. Through the planning process we worked closely with the owners to customize the space to fit their needs. As construction began however, the clients recognized new opportunities for the space that had not been considered. Due to the time and effort we spent in planning, we were able to more easily integrate these new ideas into updated construction documents. These ideas included, among other things, additional storage, a skylight and a new exterior door. See the sliding images on this page for some comparison images showing the original design and what is actually being built. We recently entered a design competition as a creative exercise to work on during our weekly staff training. Our concept was to design a house for James Bond. Where would it be? What materials would Bond want? What spaces would he need in his house? We went through various iterations of all the above, and in the end decided he would enjoy a hideaway in Algeria, on the Mediterranean shore. We designed a very modern concrete, steel and glass home that cantilevers out over a rocky hillside. The home has two pools, one of which is on the roof and conceals the secret entry. The back end of the house is a private zone which includes a garage and a gadget room for our client's famous cars and spy toys. The front of the house is cantilevered over a cliff and provides an interior pool and bar area where visitors are treated to a view of the Mediterranean while mixing up the perfect martini. Shaken, not stirred, of course. 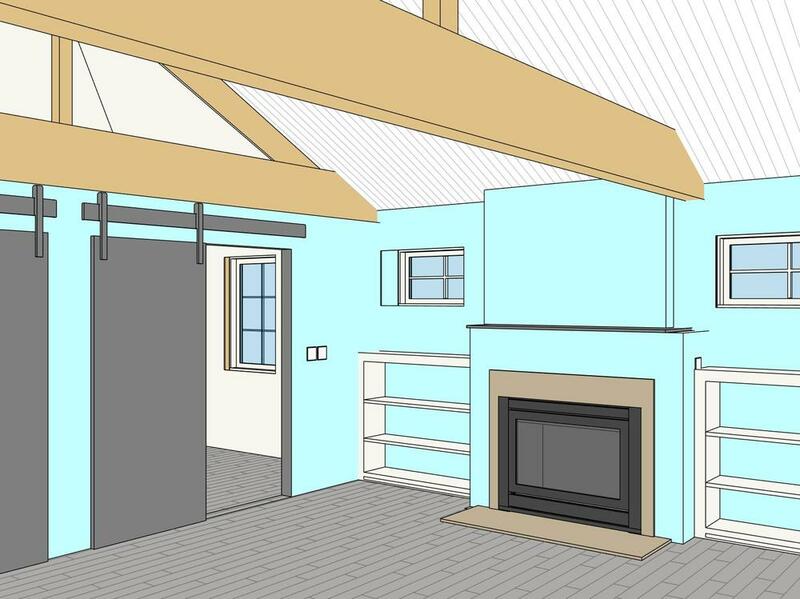 This project, currently under construction, is an addition and remodel of an existing ranch-style home. The family of four needed a second story, and desired a contemporary, California-inspired look. The entire process starts with a site visit, where we sketch and draw every inch of the house. Back at the office we create an accurate 3D model of the project, which serves as the baseline for all future design work. In this case, the client shared some Houzz images with us, so that we could get a better feel for their desired aesthetic. We sketched some ideas, and eventually landed on the final design. Sketch of the proposed design overlayed on a photo of the original house. Once the general design concept is agreed on, we use the baseline 3D model to create a 3D model and architectural drawings of the addition. By using a screen-sharing application we can show the model and floor plans to the client, and make instantaneous changes to the design based on their comments. 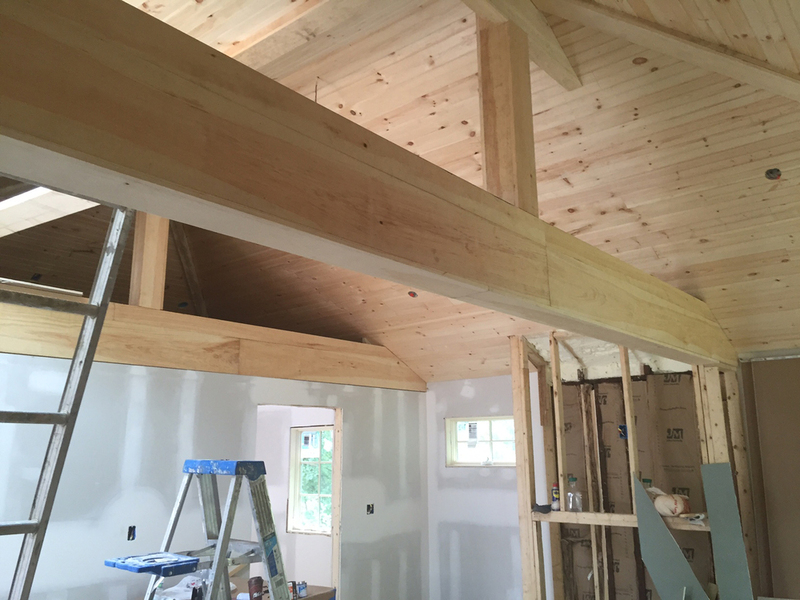 Permit and construction documents are then produced from the model, and in this case turned over to our partners at Cabin John Builders. You can see the construction progress below! Conceptual rendering of the finished project.